Kirori Mal College Cutoff 2019 - Kirori Mal College, one of the reputed colleges affiliated to Delhi University, will be releasing the first cutoff of Kirori Mal College 2019 in the second week of June 2019. Candidates will be able to check Kirori Mal College 2019 cutoff in both online and offline modes. The document verification and admission fee payment procedure needs to be completed within the second week of June 2019 itself. The Kirori Mal College cutoff 2019 for all courses will be released separately for different categories. Candidates who wish to secure admissions in the university will be able to find the cutoff of Kirori Mal college 2019 for all courses below. Candidates who fulfil Kirori Mal College 2019 cutoff will have to complete the document verification and fee payment procedure within the stipulated deadlines for the concerned round of cut off. Those who do not complete the admission procedures for a particular round within the assigned deadlines will not be eligible for admissions in the next round. A number of factors go into determining the Kirori Mal College cutoff 2019, the most important being the best of four marks. The best of four is the highest average of the marks secured in any four subjects in the qualifying examination. 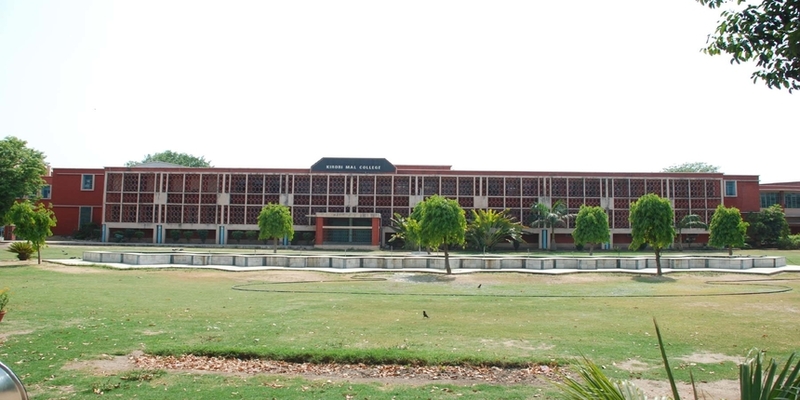 Kirori Mal College offers a vast range of undergraduate courses including B.A. in History, English, Hindi, Economics, B.Com., B.Sc. in Physics, Chemistry, Mathematics. The University of Delhi requires candidates to fulfil the cutoffs mandated by the affiliated colleges for a particular course to gain admissions into the concerned college. In this article, candidates will not only find cutoffs for the year 2019 but also a detailed explanation of the DU admission 2019 procedure, cutoffs of the previous years, determinants of the previous years’ cutoffs, cutoff trends, and so on. For a detailed insight into cutoff of Kirori Mal College 2019, candidates can read further. Given below are the dates for each round of cutoff and the succeeding document verification and fee payment procedure. Candidates who wish to get admissions into the college must take a note of these dates seriously so as to not miss any important event and jeopardize their admissions. The cutoff of Kirori Mal College 2019 for B.A., B.Sc., and B.Com. will be released separately for different categories. The cutoffs for the year 2019 will be uploaded here once the university announces them officially. Candidates can go through the below mentioned factors which go into determining the cutoff of Kirori Mal College 2019 for a particular course. Programme - The undergraduate programme which the candidate has applied for. Number of seats - The number of seats available in the college for a particular course. Number of applicants - Total number of candidates applying for a particular course of the college. Candidates fulfilling the cutoff will have to login into their registered account on the UG admission portal. Upon logging in, candidates will be required to select the course and college they want to opt for. After completing the admission form, candidates will have to take its print out and submit it to the concerned college along with the requisite documents. As candidates report to the college, they will have to get their documents verified by the concerned authorities. The college will retain the original documents during the admission process. After successful verification procedure, the college will approve candidates’ admissions in the UG portal. Upon successful document verification process, they will have to login to the UG admission portal and remit the admission fee in online mode. The fees will have to be paid by the stipulated deadline. Candidates can withdraw or cancel their admissions by intimating the college authorities for it. The college will first have to approve candidate’s request for cancellation and then he/she can proceed with admissions into other colleges. Fee adjustments will be made accordingly. Candidates who fulfil Kirori Mal College 2019 cutoff need to furnish the following documents in order to gain admissions into the college. University’s centralized acknowledgment slip/online registration for the admission 2019-2020. University’s centralized Online Registration/Acknowledgment slip for the admission-2017-18. Undertakings by the candidate and the parent/guardian for curbing the menace of ragging in the prescribed format (available in the College office). Completely filled-up University enrolment form (available in the College office). At least two self-attested passport size photographs (as asked in the College Admission Form). One set of self-attested photocopies of documents mentioned below. Class X Marksheet/examination certificate of Class X examination (High School) for DOB proof. Detailed Class XII/qualifying examination marksheet. Class XII examination/qualifying examination provisional/original certificate. Recent Character Certificate issued by the Head of the Institution last attended. Transfer Certificate from school/college (required for those students who have passed their senior secondary examination from outside Delhi). Migration Certificate from Board/University (required for those students who have passed their senior secondary examination from outside Delhi). SC/ST/PwD/CW/KM/OBC (Non-Creamy Layer)/Ward Quota/Foreign Certificate (in the name of the Applicant) issued by the applicable competent authority. Certificate issued by the head of the school stating that the candidate has studied and passed Hindi subject upto Class VIII (if the candidate has not studied Hindi upto Class X and does not want to appear for the compulsory Hindi Test (CTH)). Note - Along with the photocopies of the aforementioned documents, candidates will have to submit the original copies as well. The originals will be returned to candidates after successful document verification. Candidates can have a look into the previous years’ cutoff of Kirori Mal College for all undergraduate courses and categories. Given in the table below are the cutoffs of Kirori Mal College for different courses for the years 2017, 2016, 2015, 2014 and 2013. Candidates can compare the cutoffs of all these years and have an idea of the cutoff trends of the university. Q. How many cutoff of Kirori Mal College 2019 will be released? A. The college will announce as many as ten cut offs. Q. When will the first Kirori Mal College 2019 cutoff be released? A. The first cut off of KMC will be released in the second week of June 2019. Q. What mode will the Kirori Mal College cutoff 2019 be released in? A. The cut off of Kirori Mal college will be released in both online and offline modes. Q. Is it important for candidates to fulfil the cutoff of Kirori Mal College 2019? A. Yes. As per the rules of the University of Delhi, candidates need to fulfil the cut off to be considered for admissions into the college. Q. What if the candidate misses the admission procedure for a particular round of Kirori Mal College 2019 cutoff? A. Such candidates will not be eligible to take admissions in the subsequent rounds. Q. What is the mode of admission fee payment? A. Candidates who fulfil Kirori Mal college cut off 2019 and complete the document verification procedure will have to pay the admission fee in online mode. Q. How can candidates withdraw their admissions? A. Candidates can withdraw their admissions by requesting the college for cancellation of admissions. As the college accepts the request for cancellation, candidates will be returned their original documents. Q. Is it compulsory for candidates to submit their original documents to the college? A. Yes. However, candidates will be returned the original documents if they wish to cancel admissions.